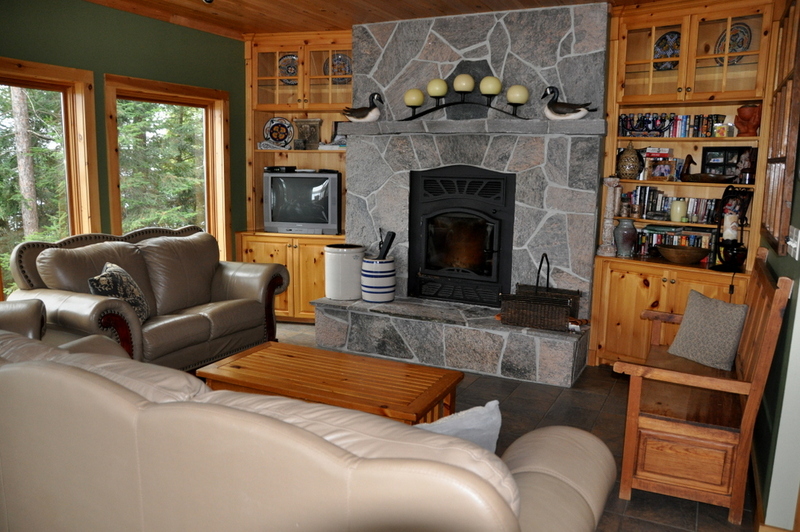 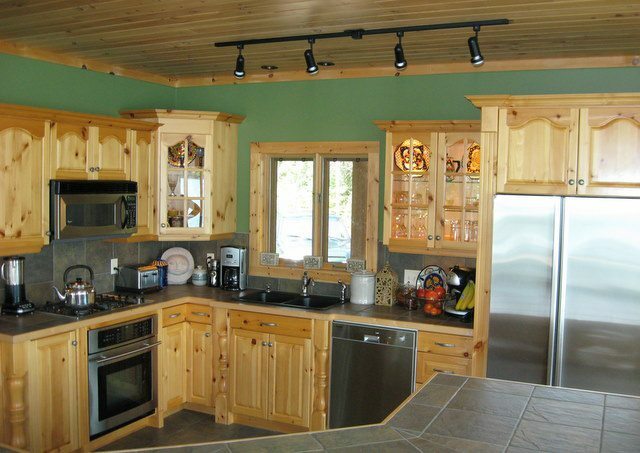 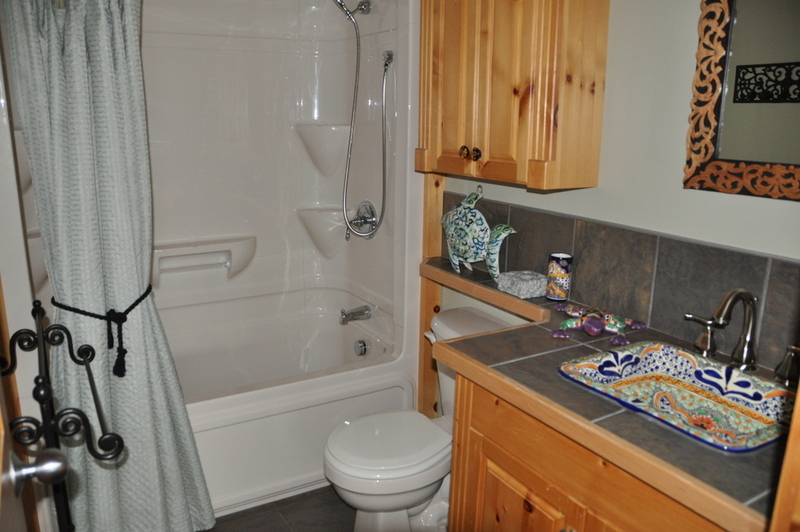 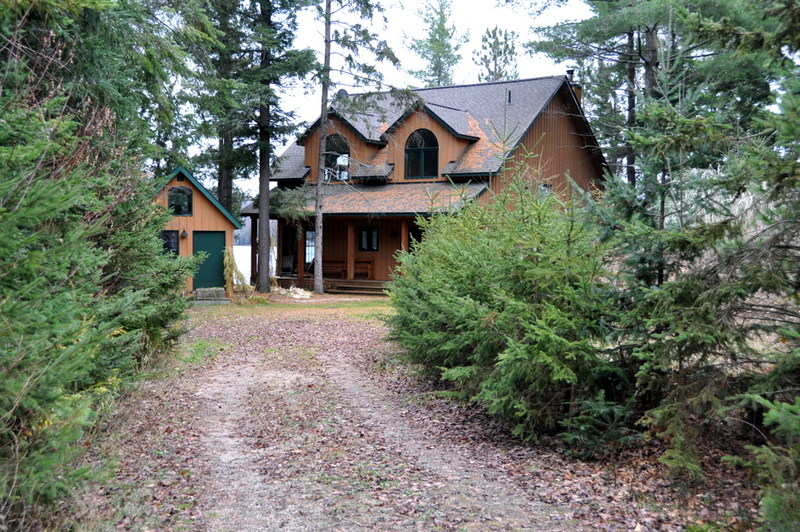 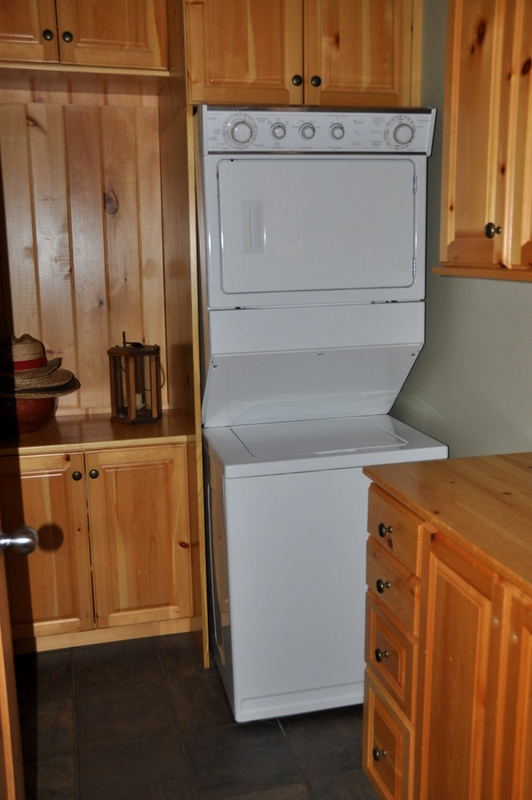 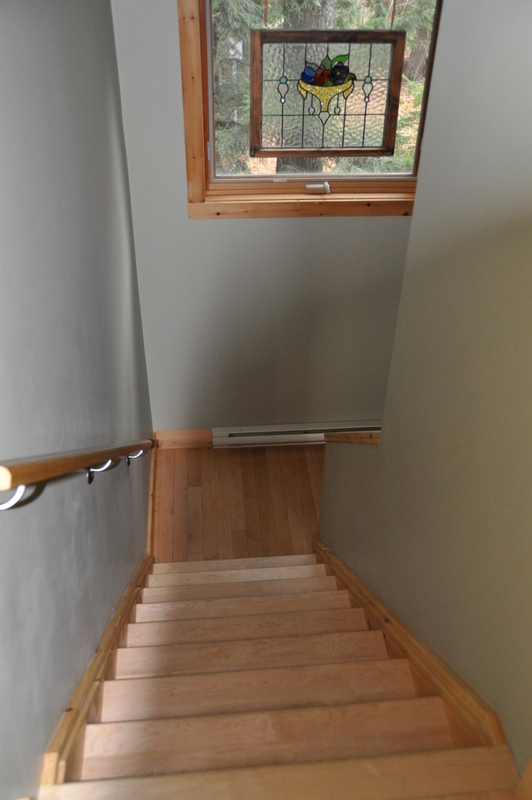 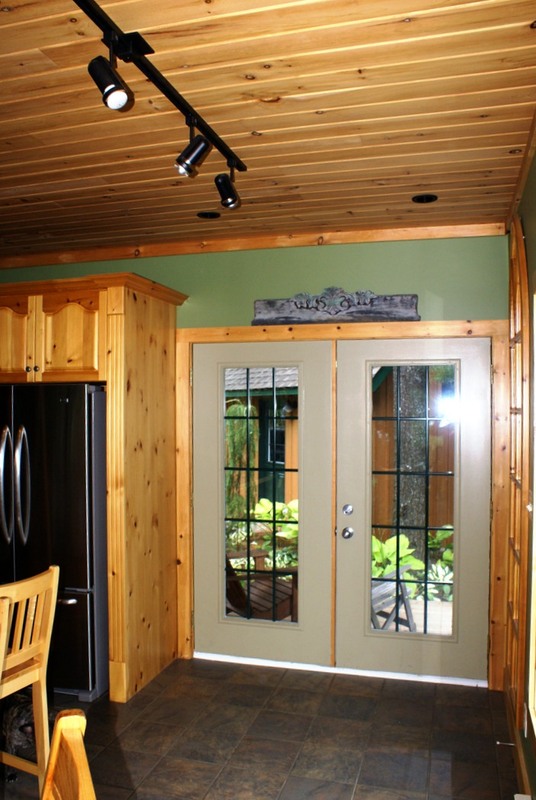 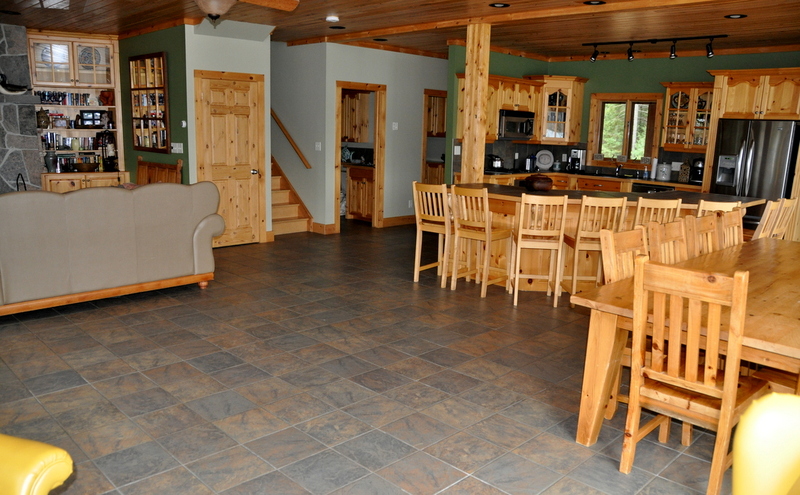 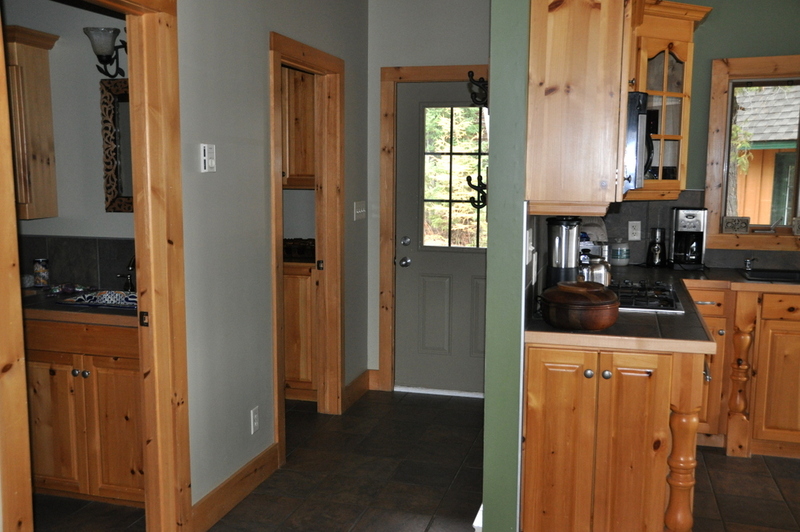 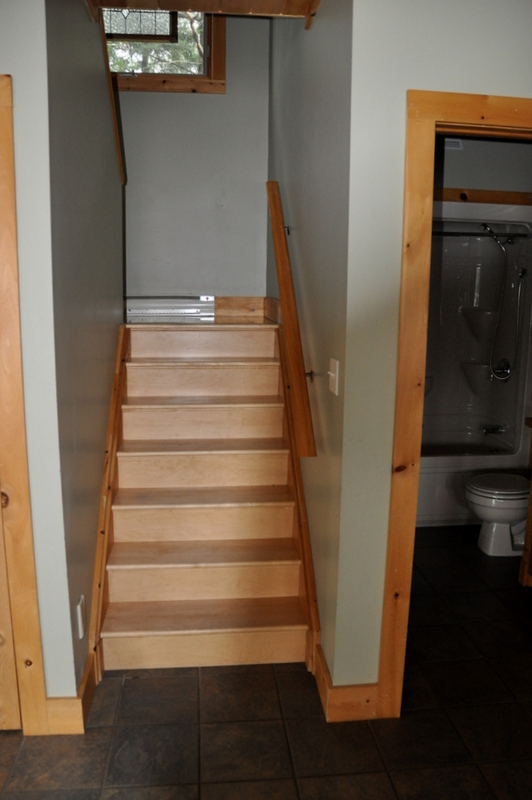 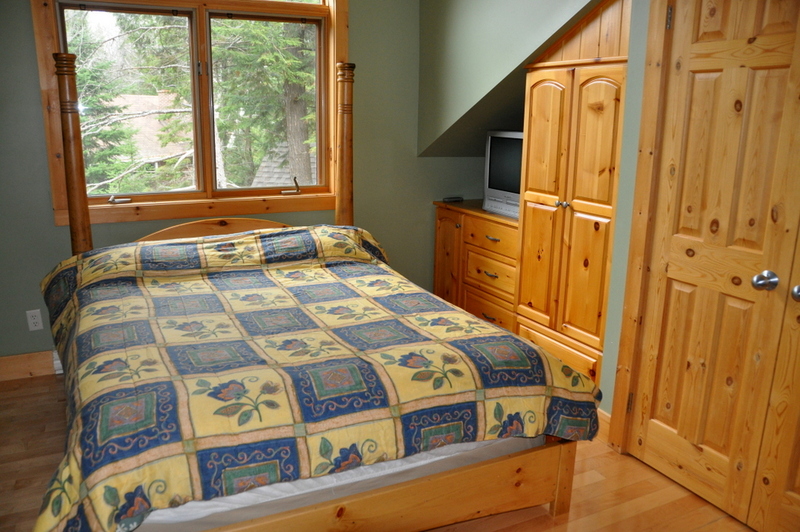 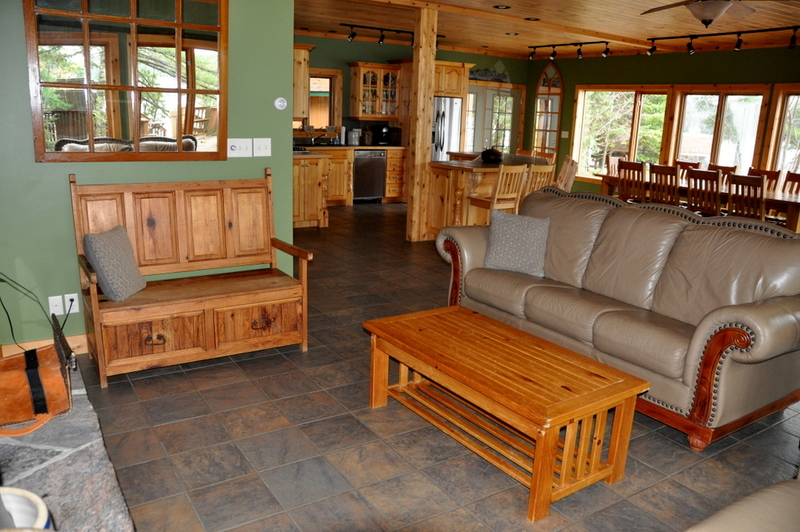 Here is a beautiful, open concept, 4 bedroom cottage. 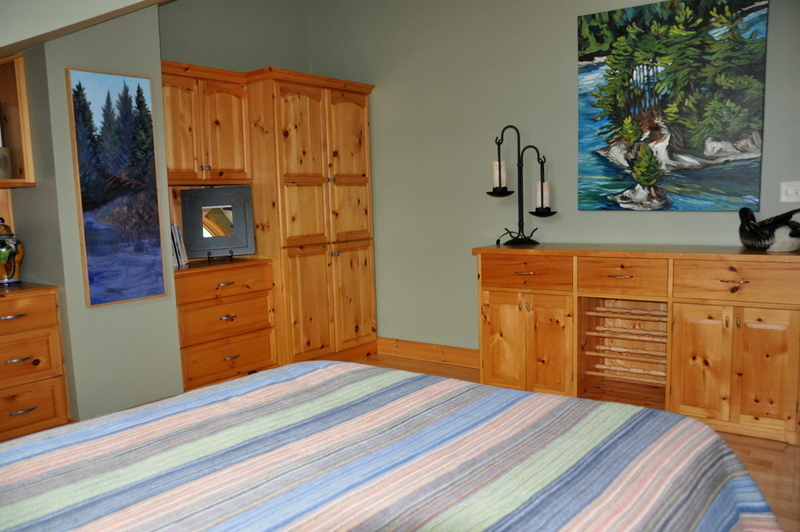 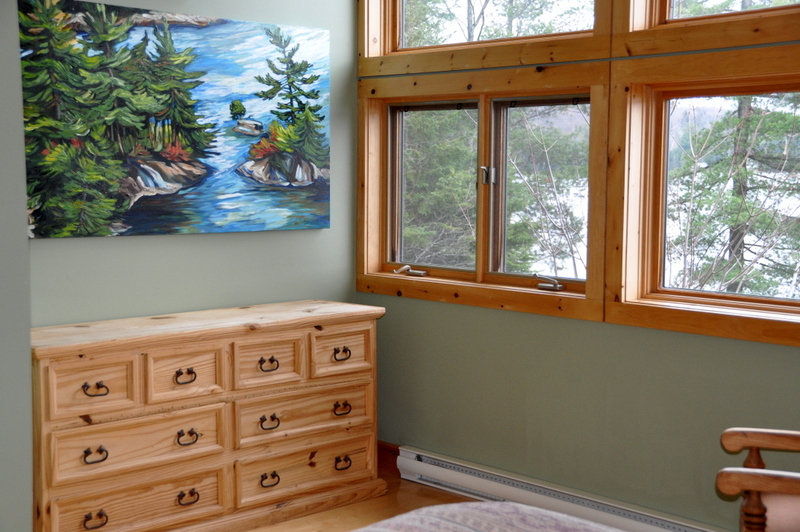 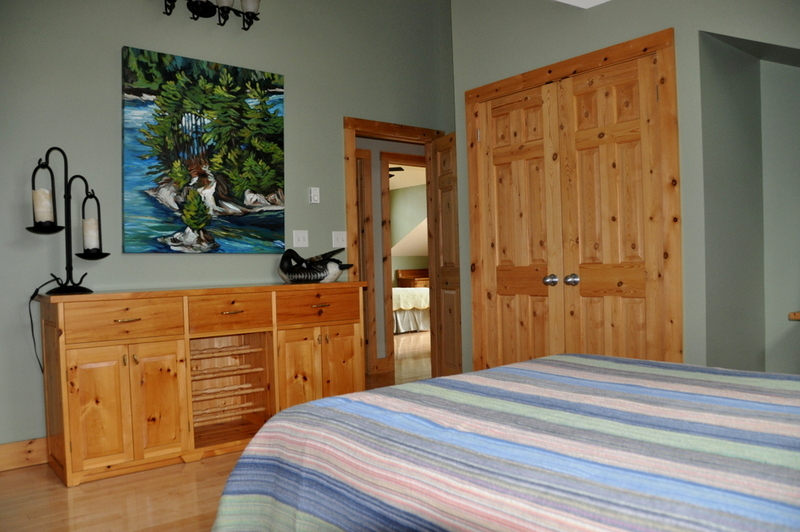 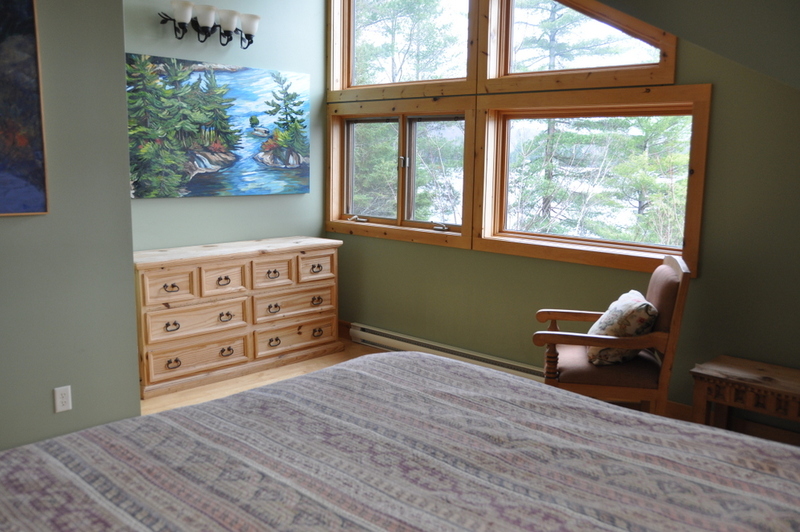 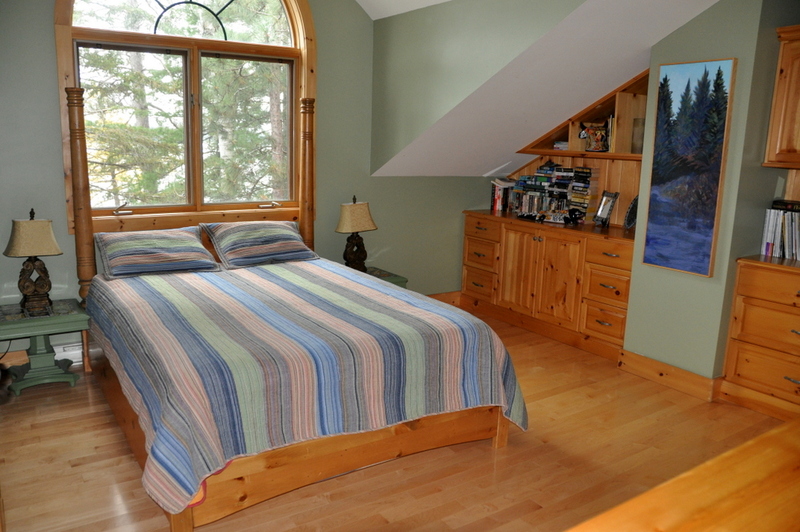 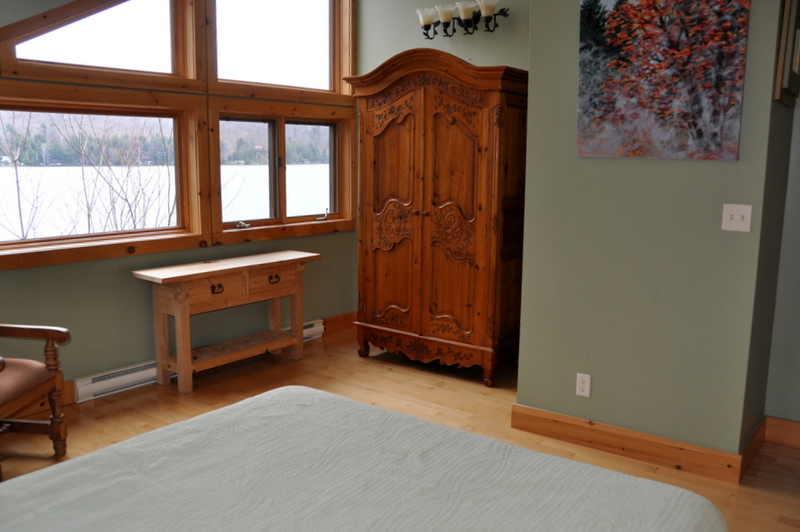 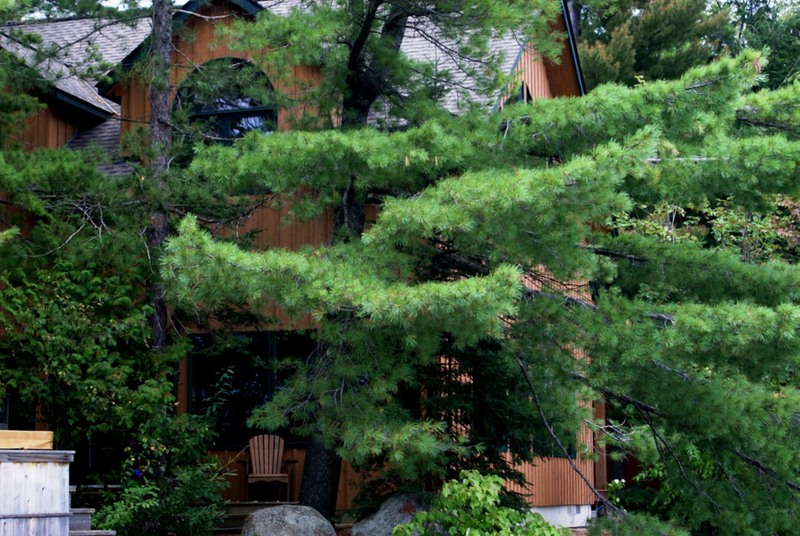 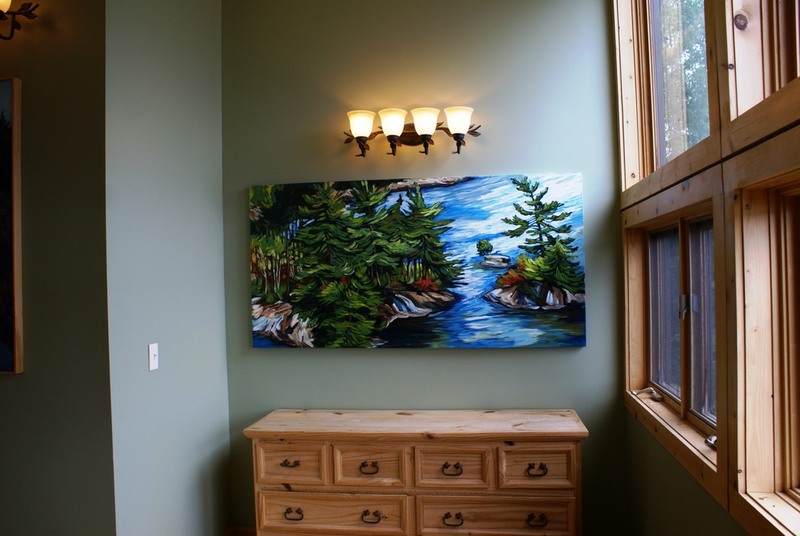 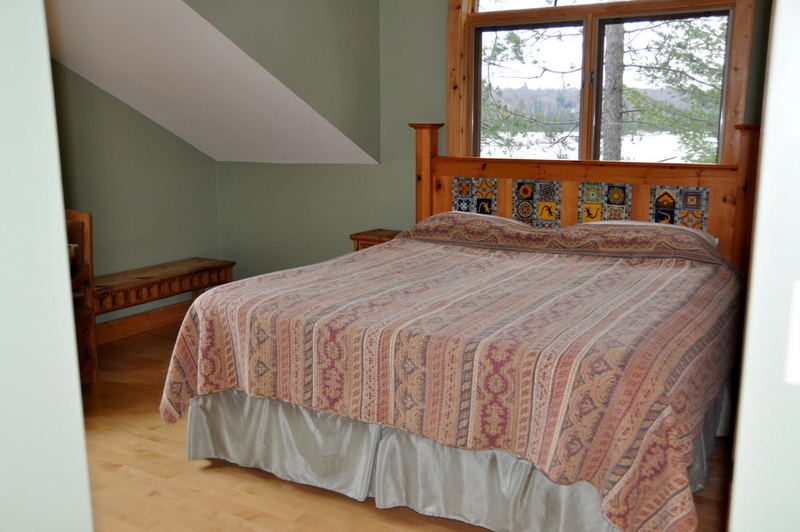 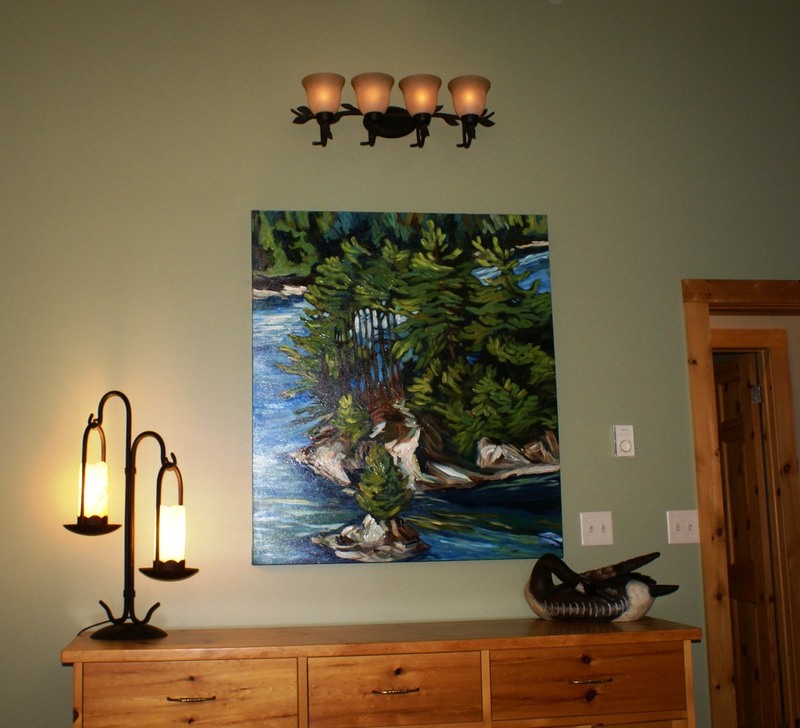 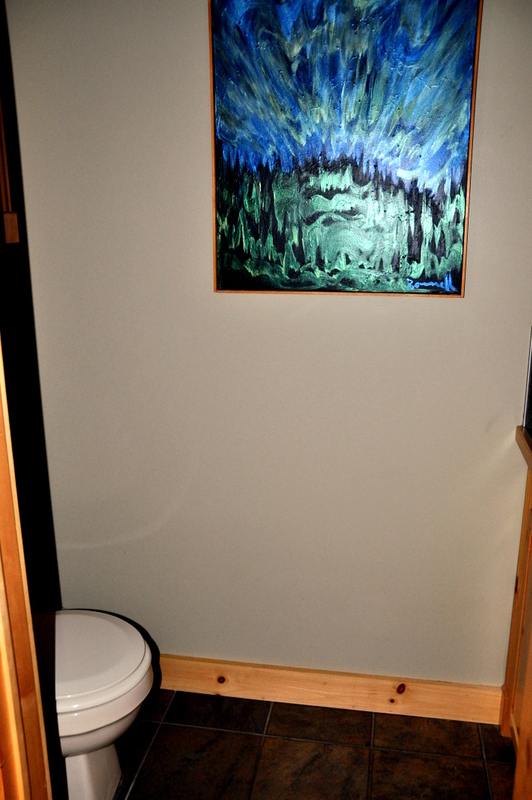 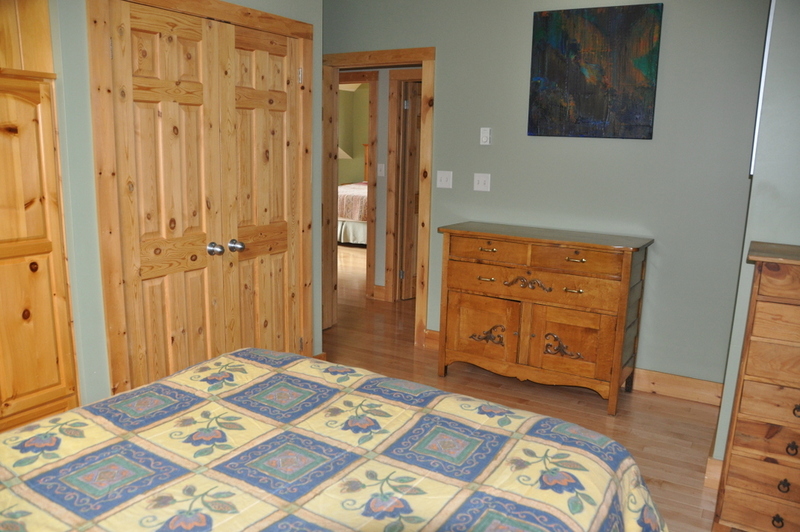 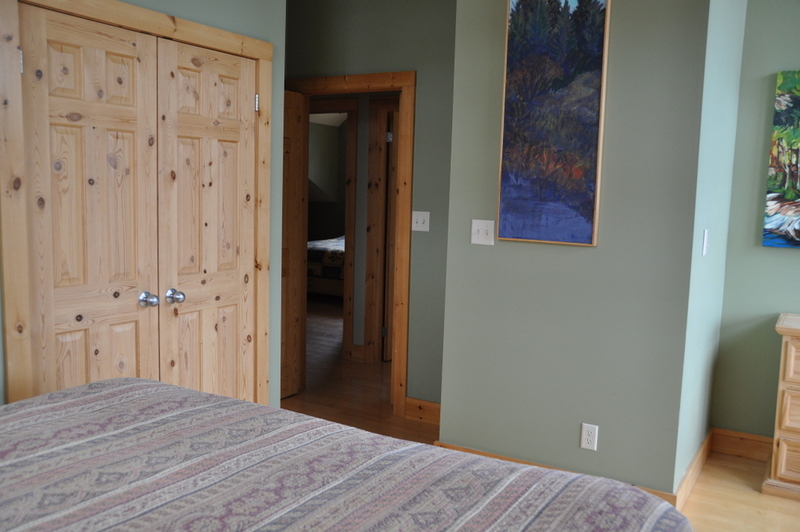 Paintings by local artists infuse the cottage with a Muskoka flavour. 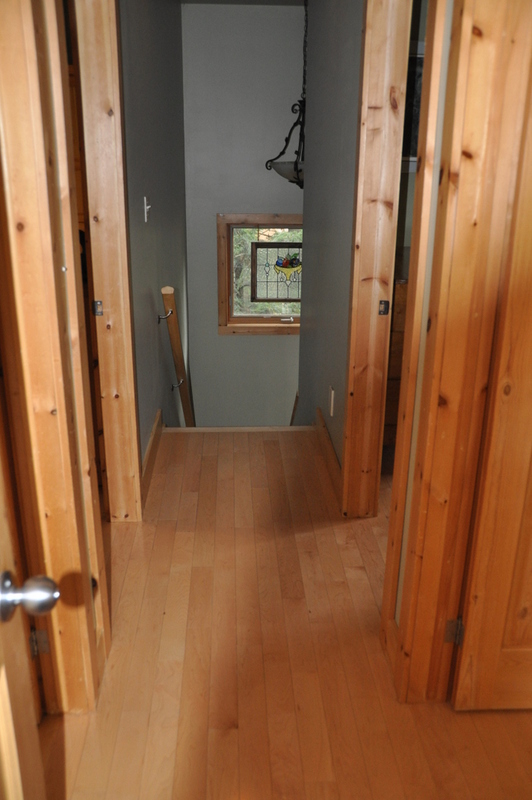 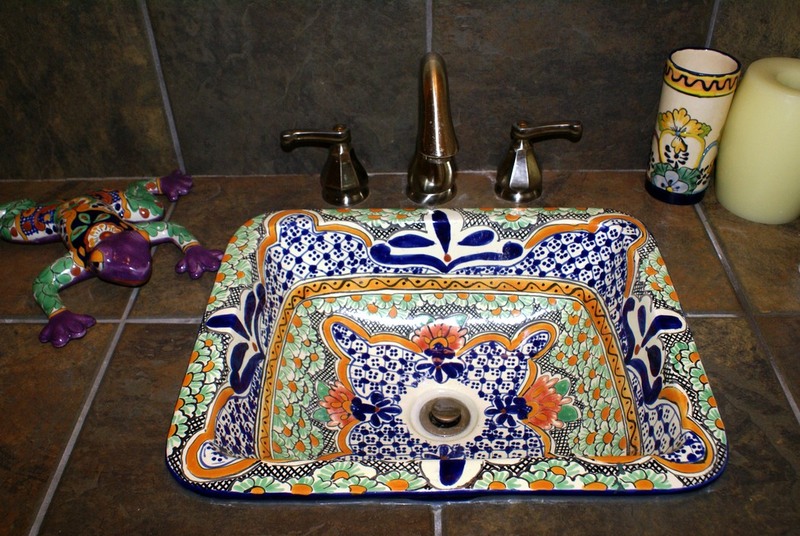 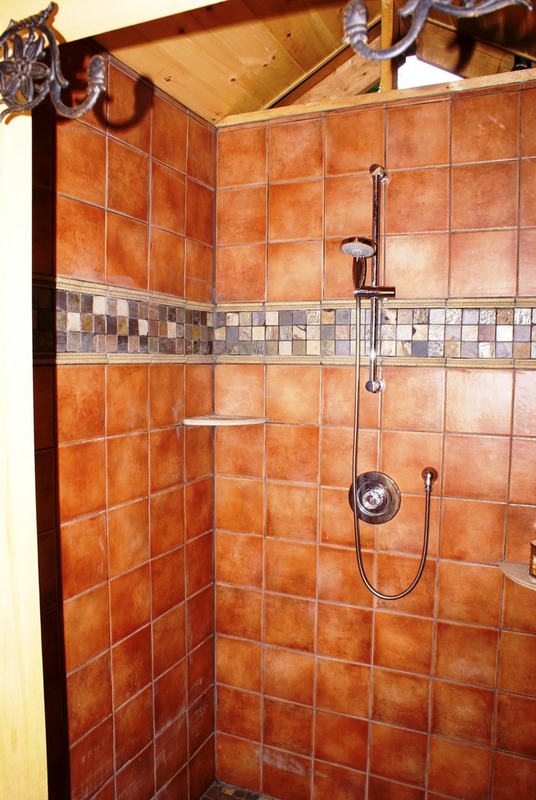 Both functionality and beauty abound here. 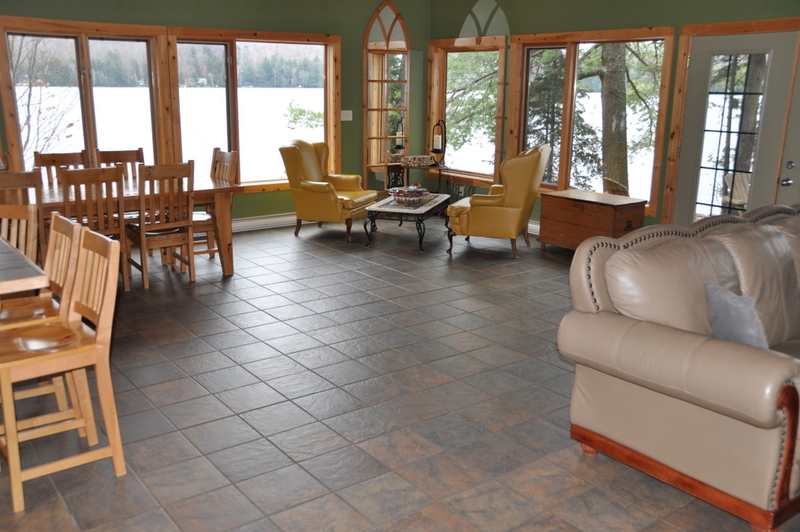 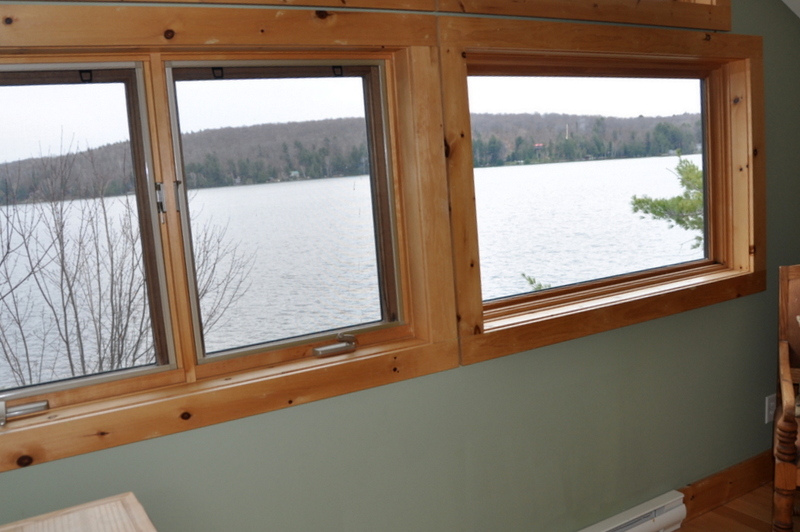 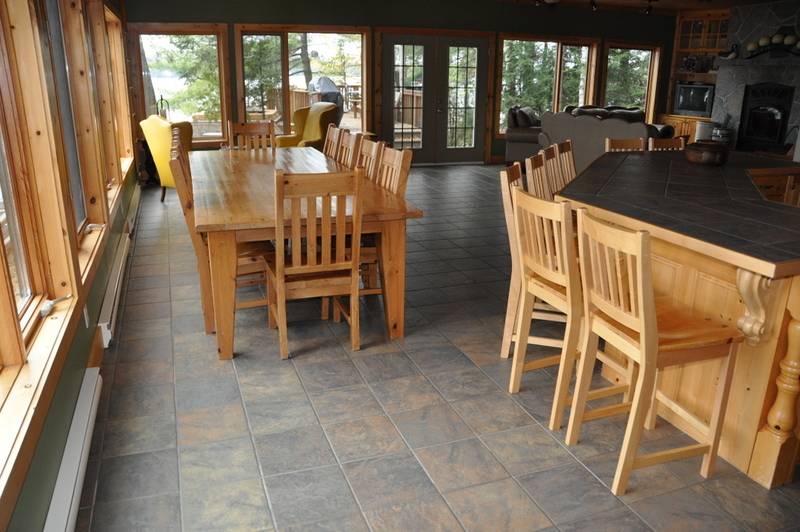 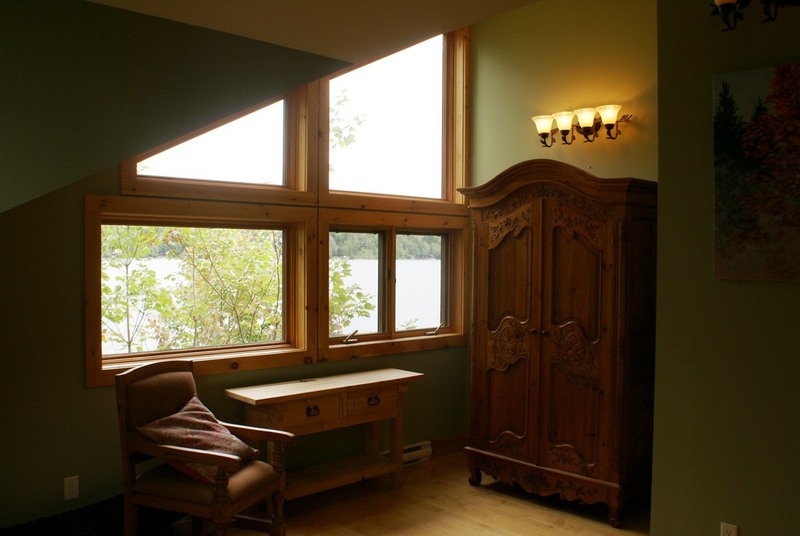 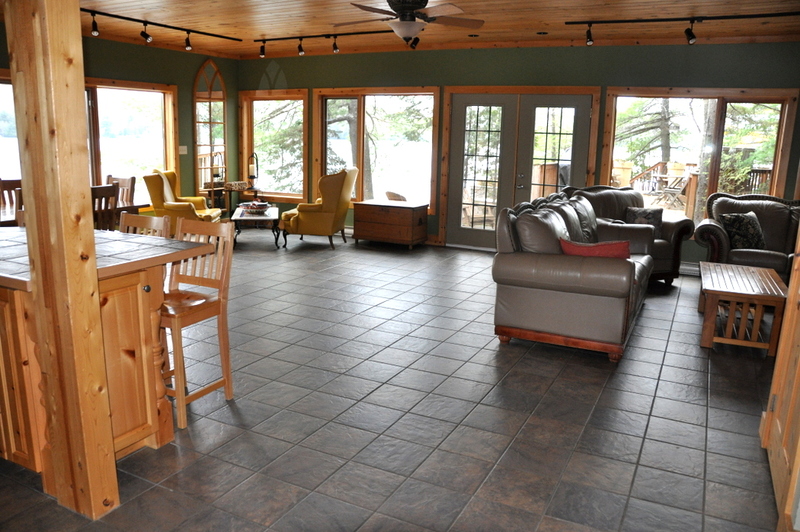 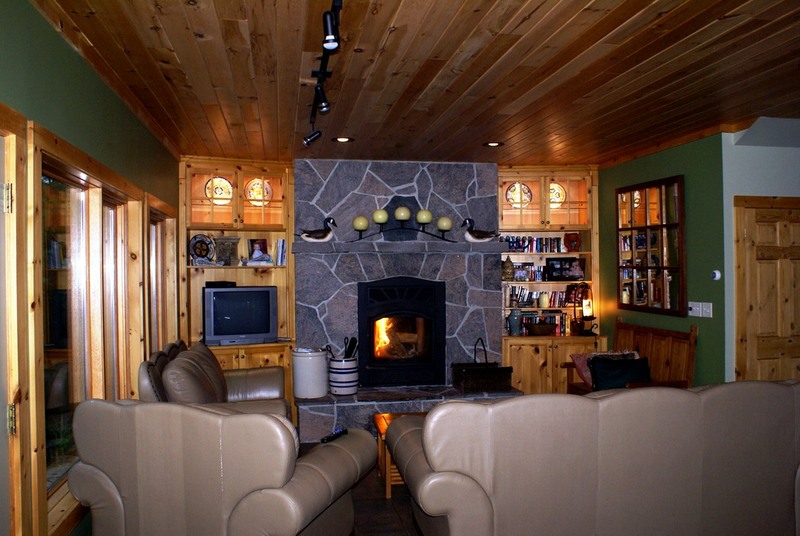 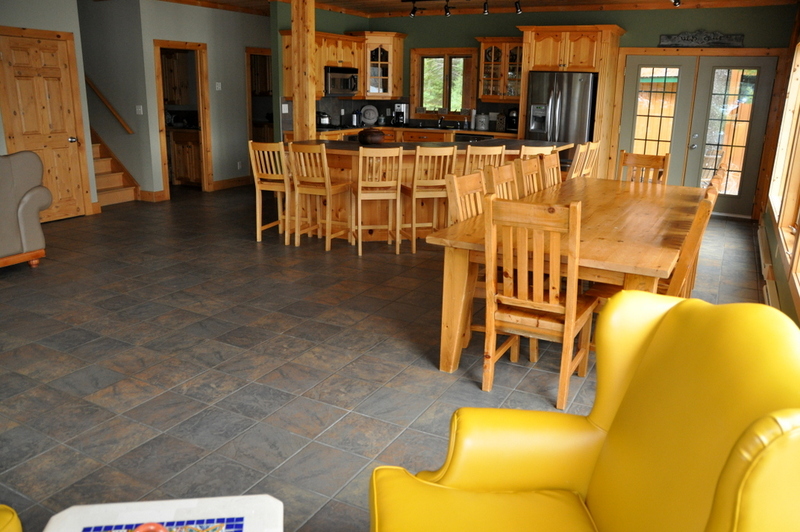 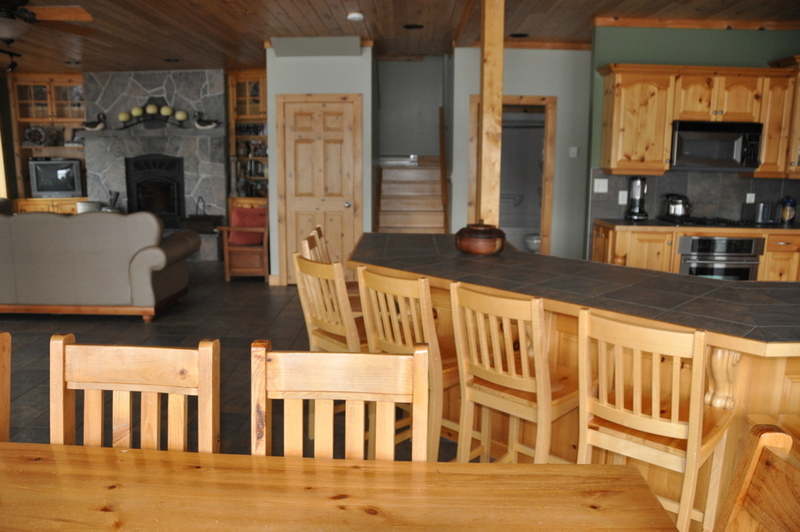 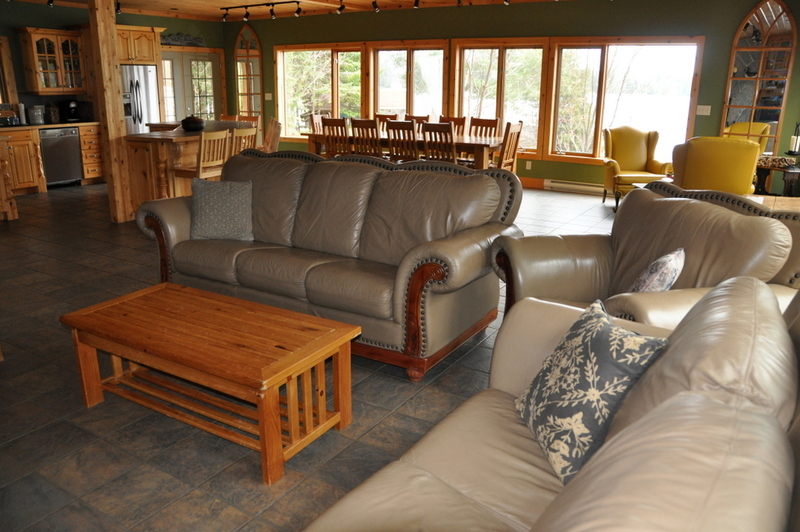 The main living area is wide open with tile floors, pine walls, pine ceilings and numerous windows facing out to the lake side for a great view of the water from anywhere on the main floor. 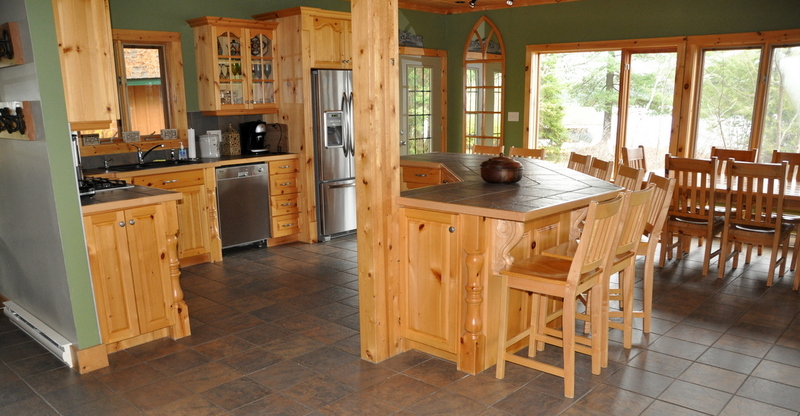 The kitchen is open and spacious with a great island for casual eating or gathering around and socializing. 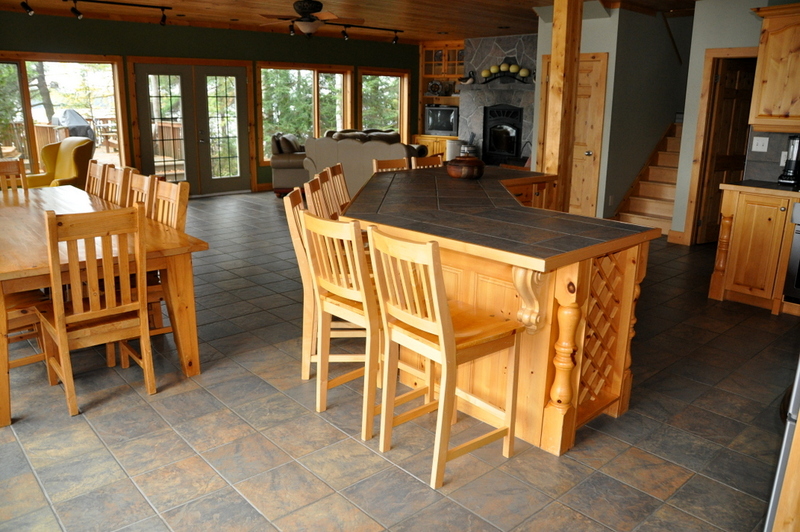 A large dining room table has the best seats in the house for enjoying dinner with a view. 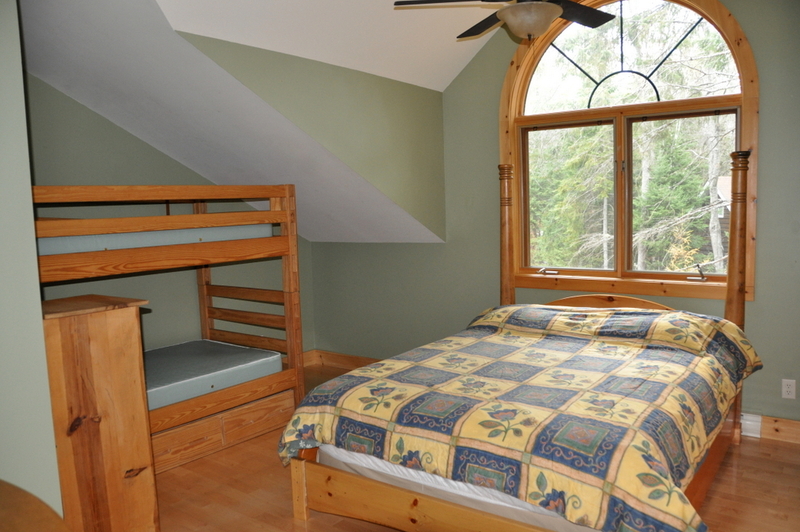 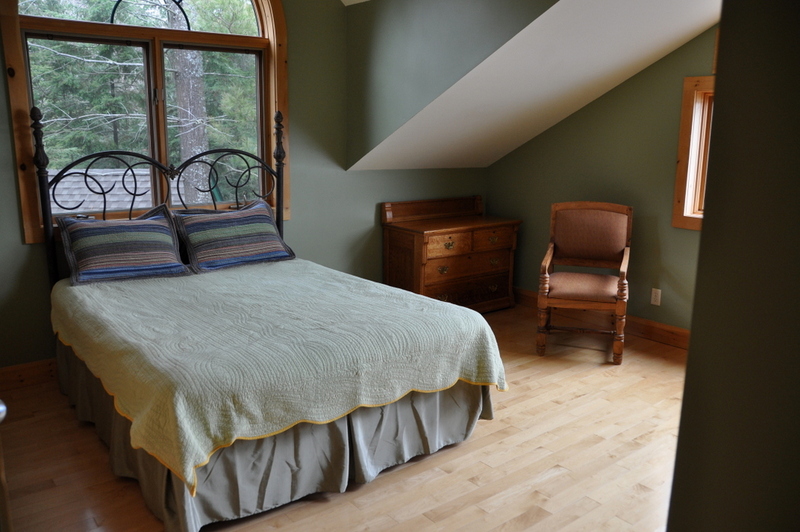 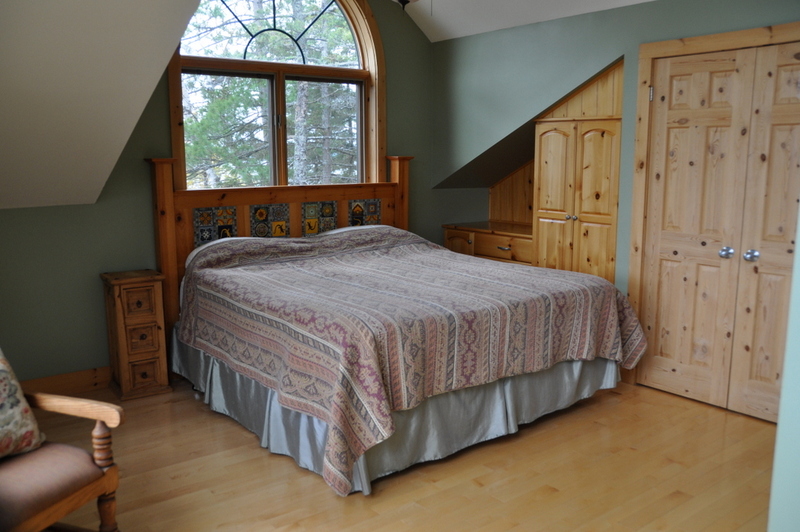 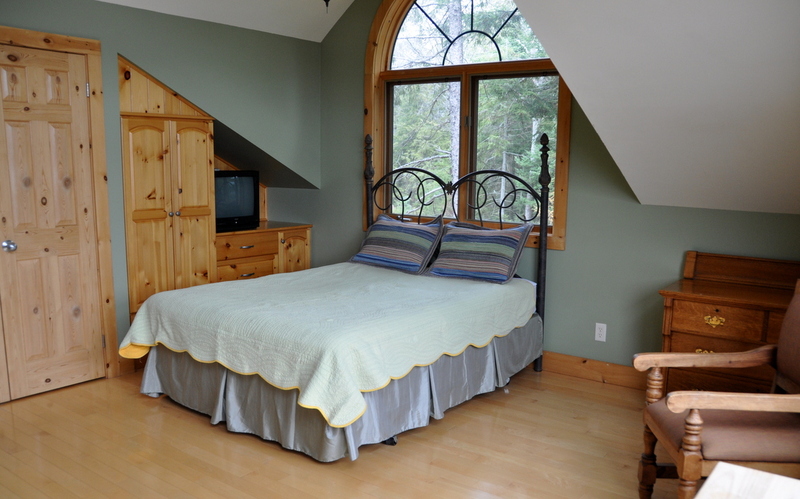 The bedrooms are all on the upper floor and each of them are quite large, with plenty of storage space, a ceiling fan and views out through the dormer windows. 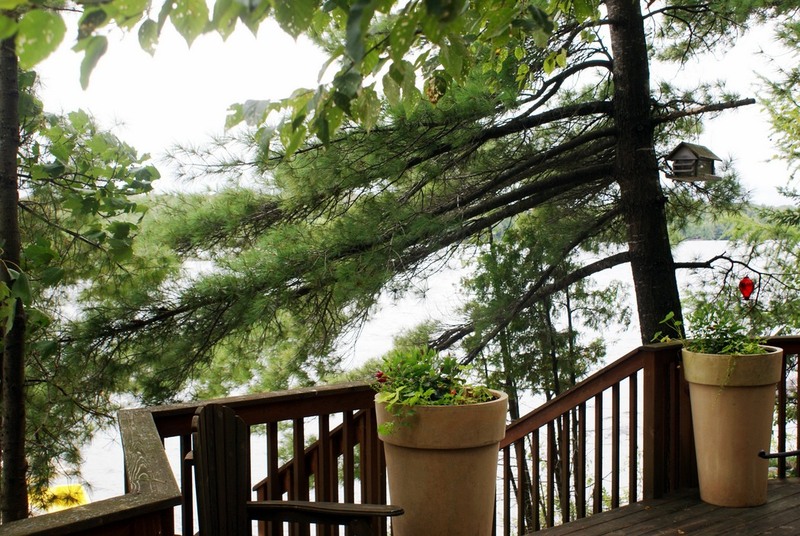 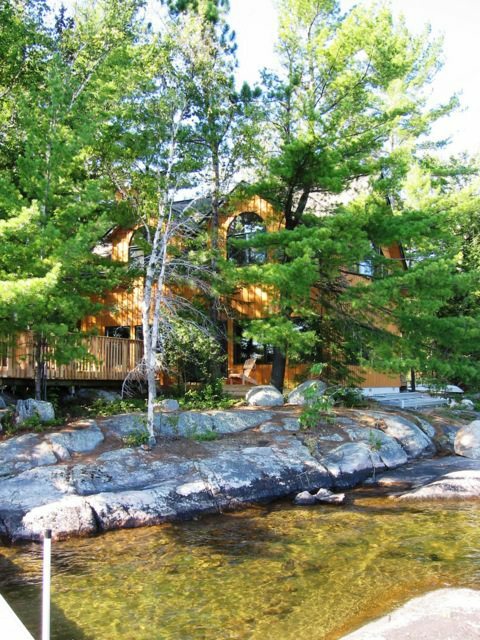 Outside, you'll find that the cottage is built very close to the shoreline. 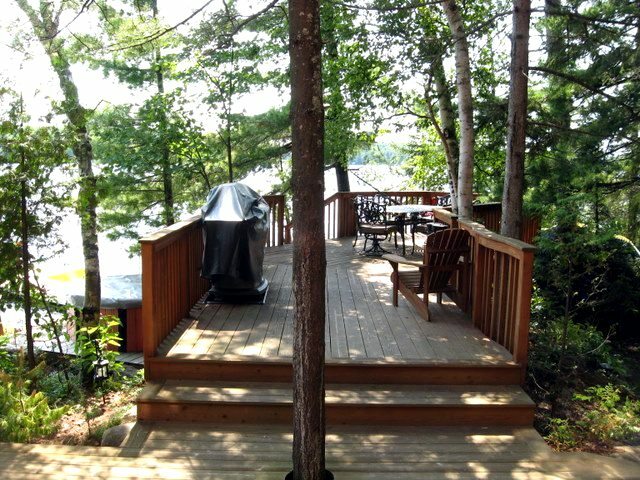 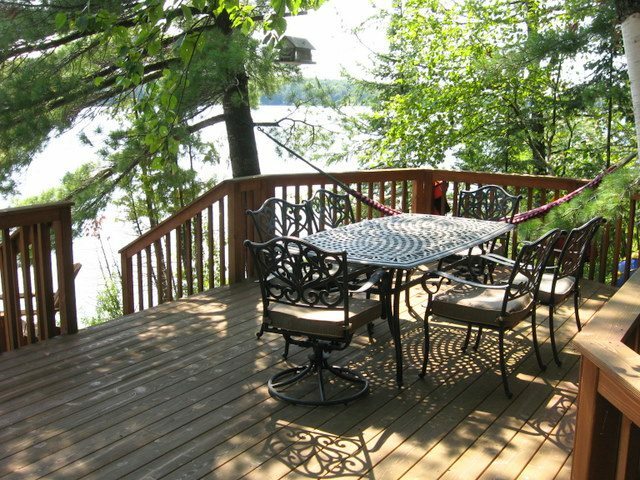 A deck area at the edge of the lake is situated amongst some trees for privacy and shade, while the dock allows for great fun in the sun. 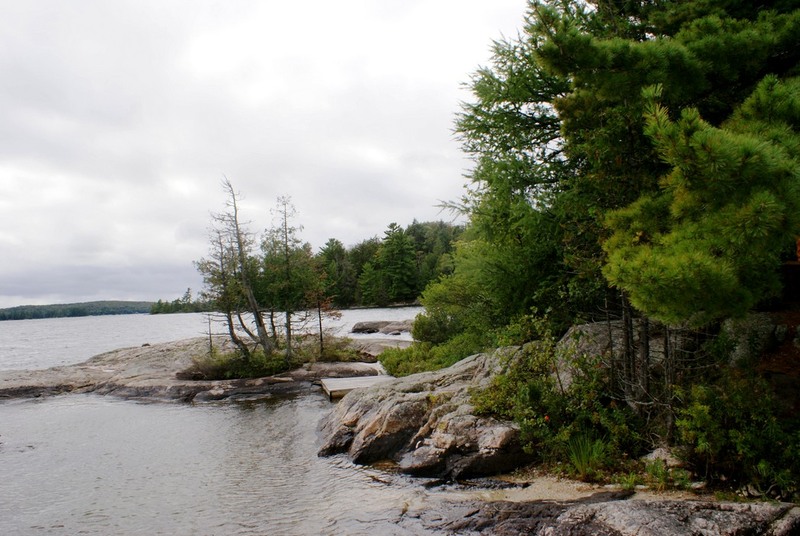 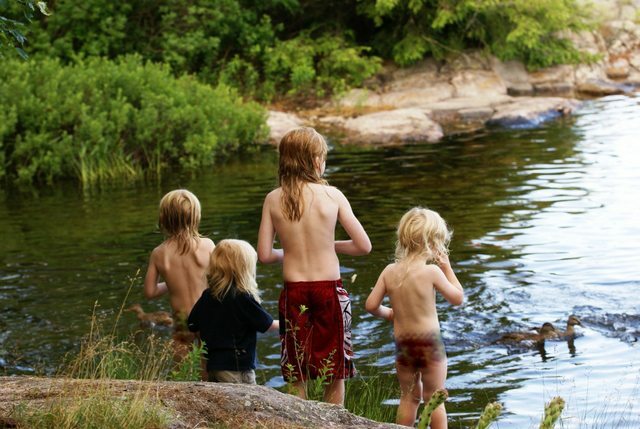 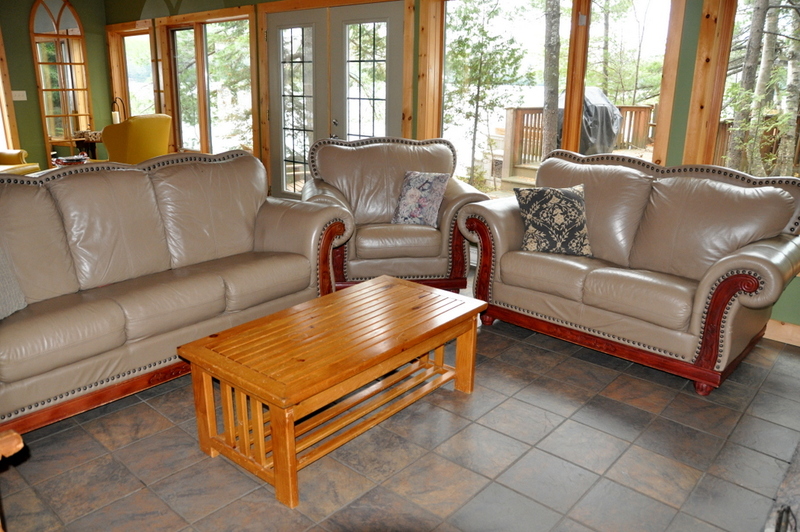 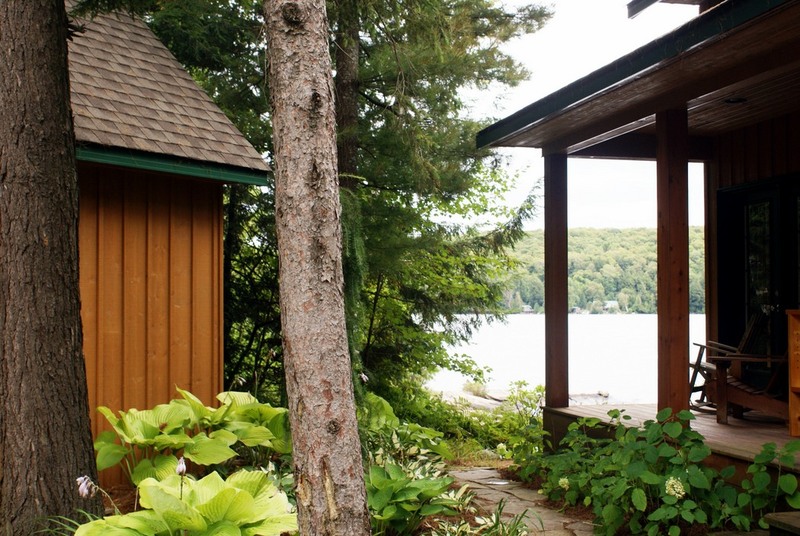 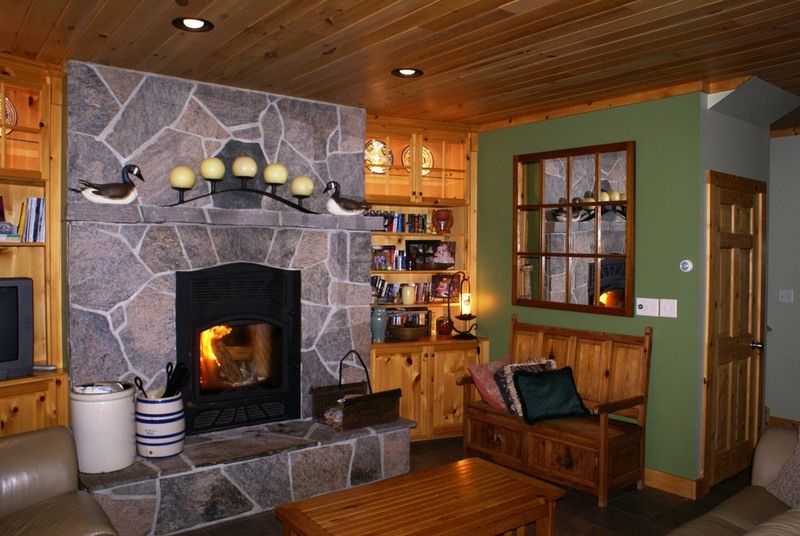 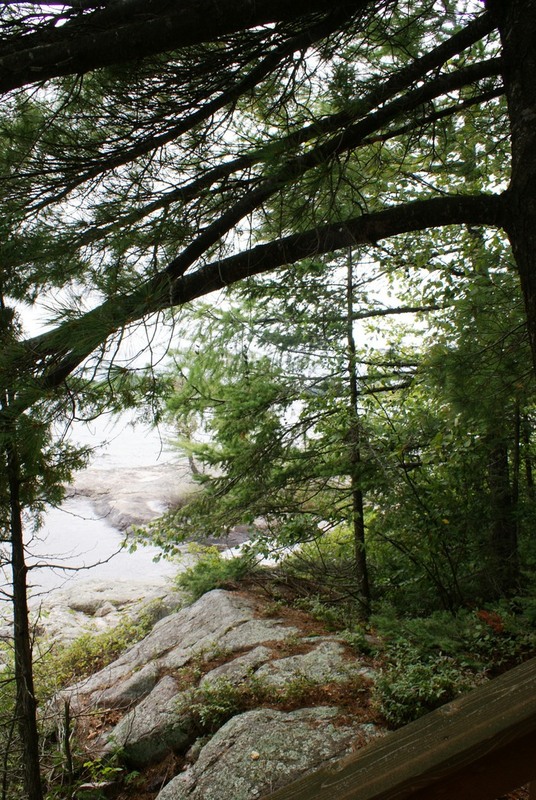 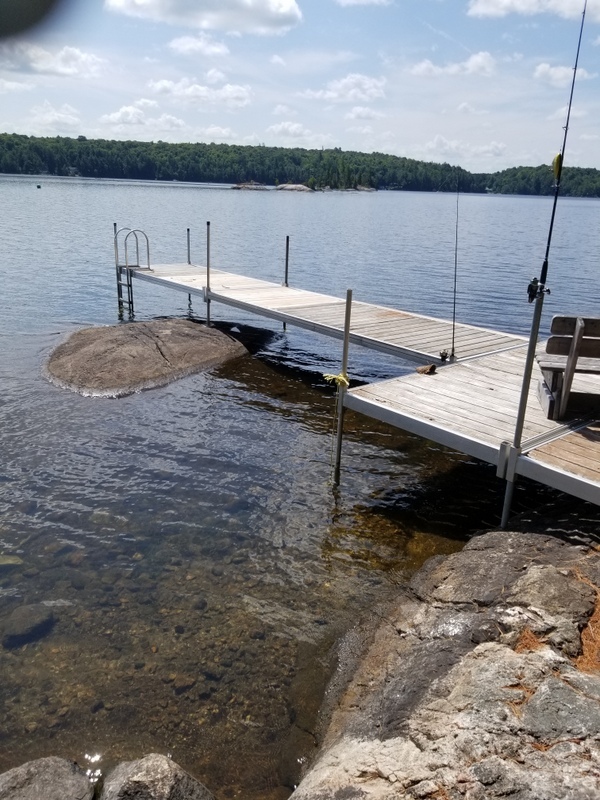 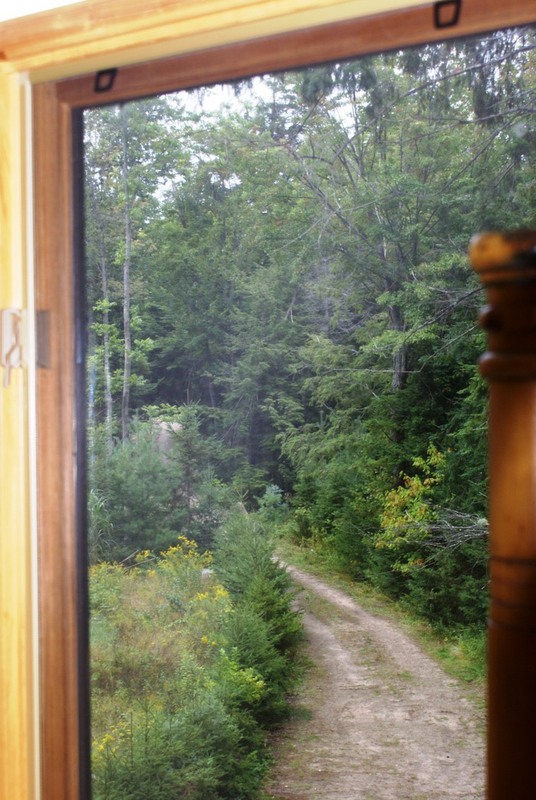 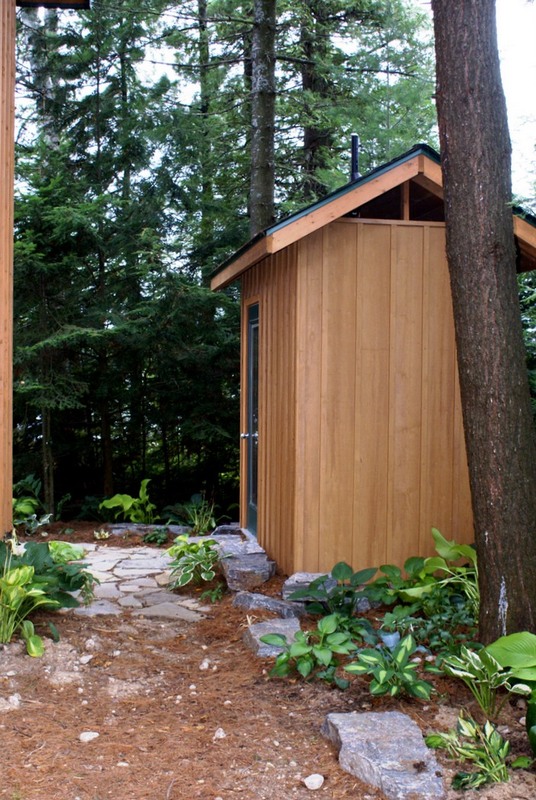 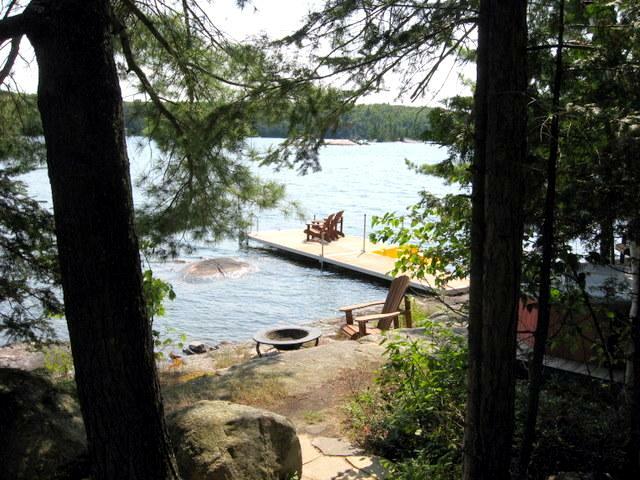 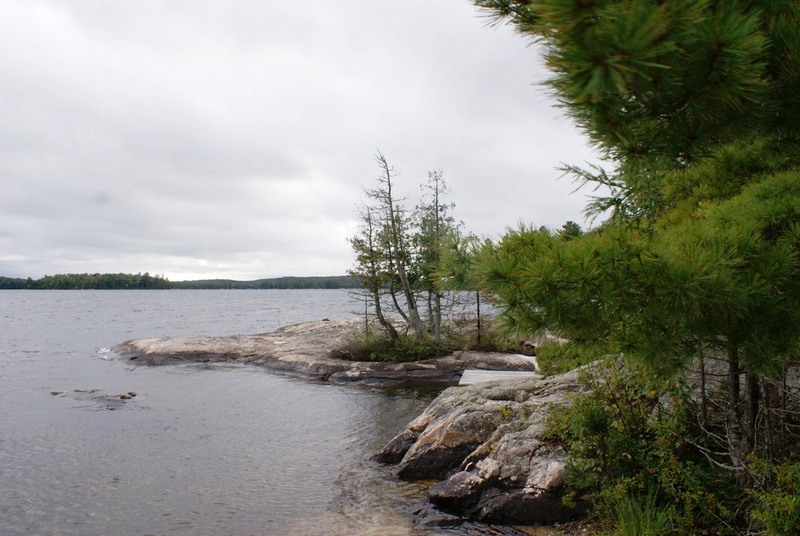 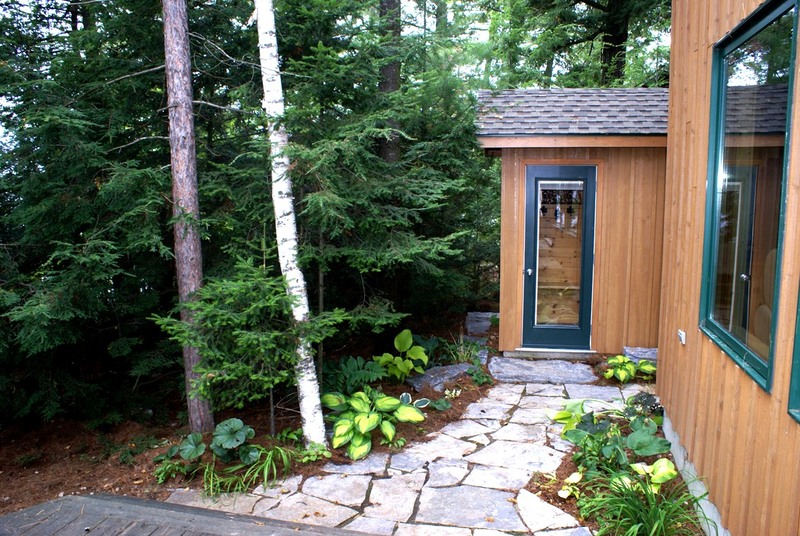 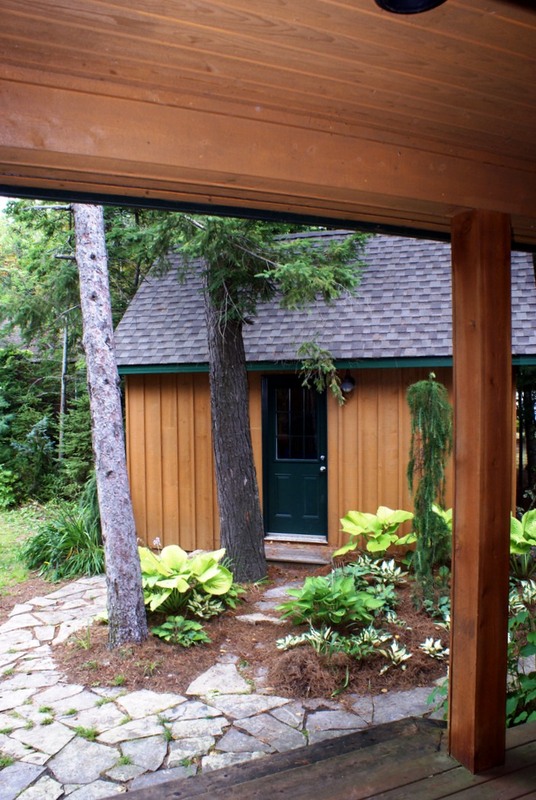 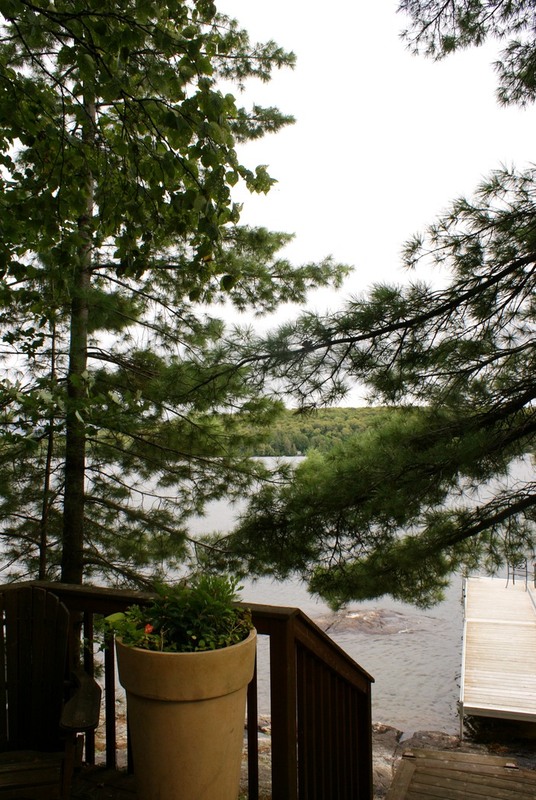 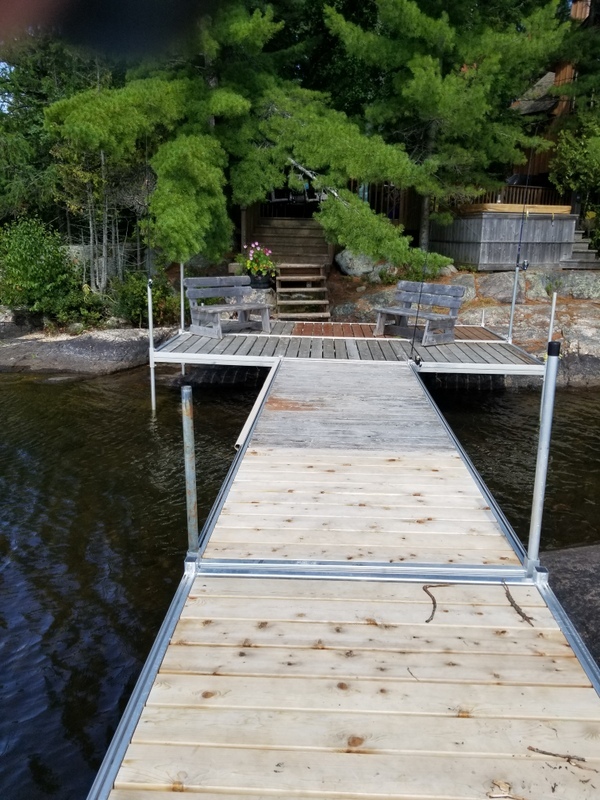 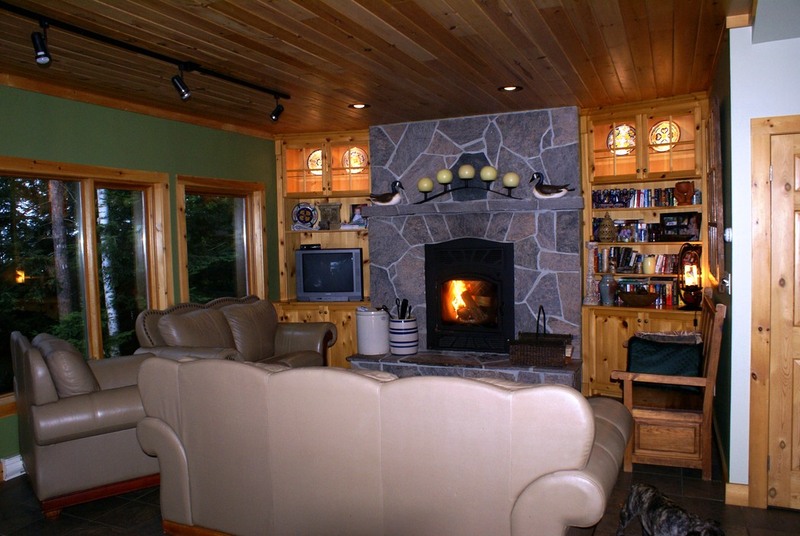 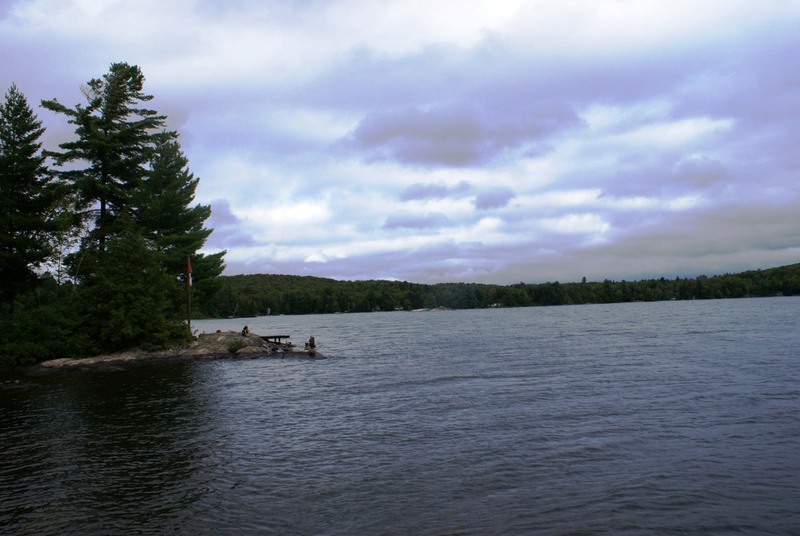 Along the smooth rock shore, you'll also find the firepit area for evening story telling, and an outdoor shower cabin after a day of cottage activities. 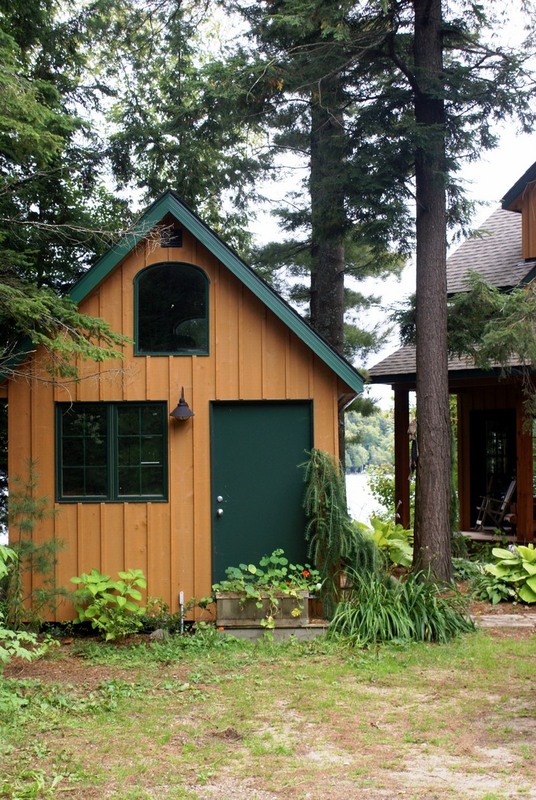 This great cottage getaway is sure to please! 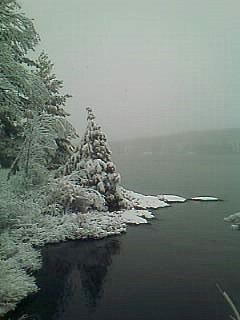 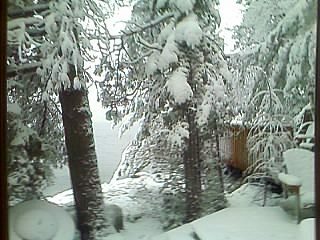 LOCATION: About 3 hrs from Toronto. 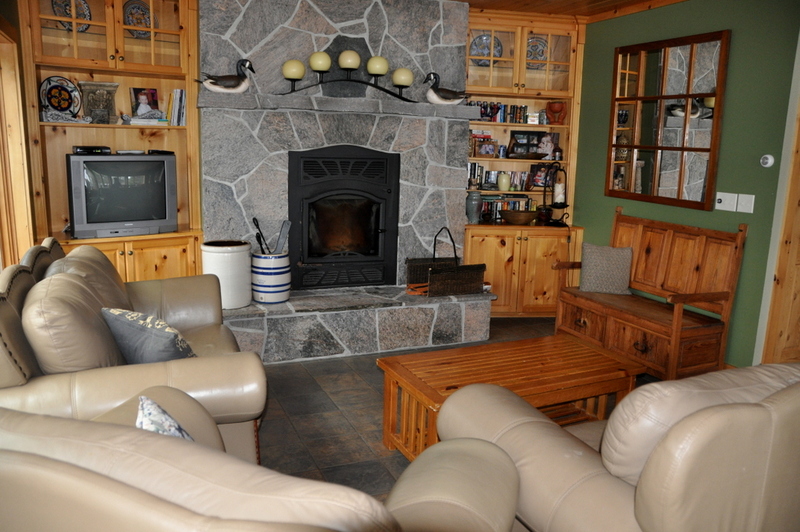 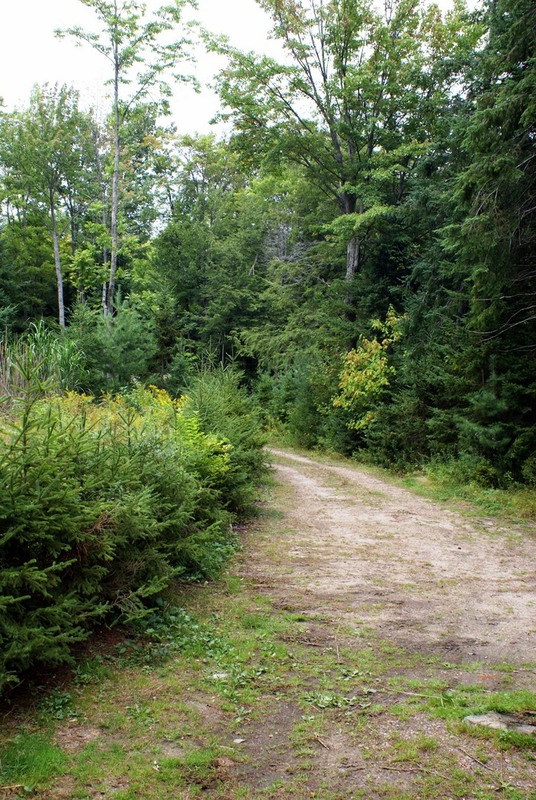 Just 10 minutes to the village of South River for groceries, restaurant, gas, LCBO and more. 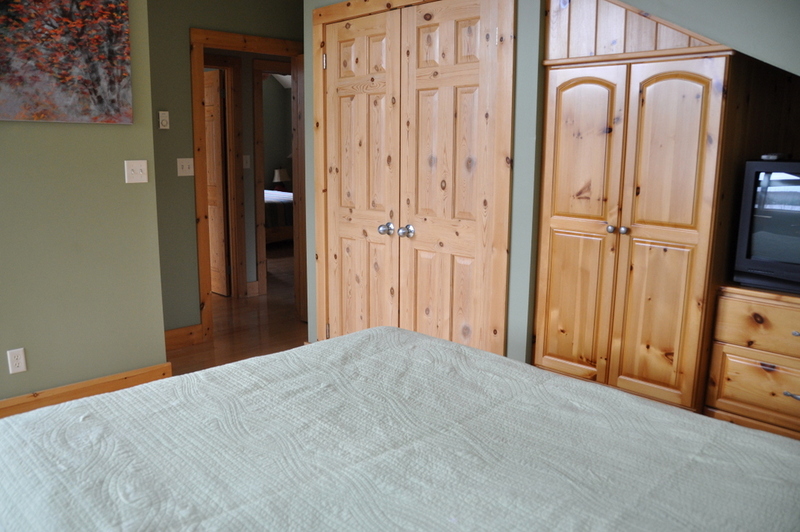 Pet allowed (must be leashed when outside), no smoking, maximum number of occupants is 8, bring own linens and towels, bring own drinking water, noise restriction after 11 PM.